Alliant Credit Union was struggling to reach employees of their partner organizations. 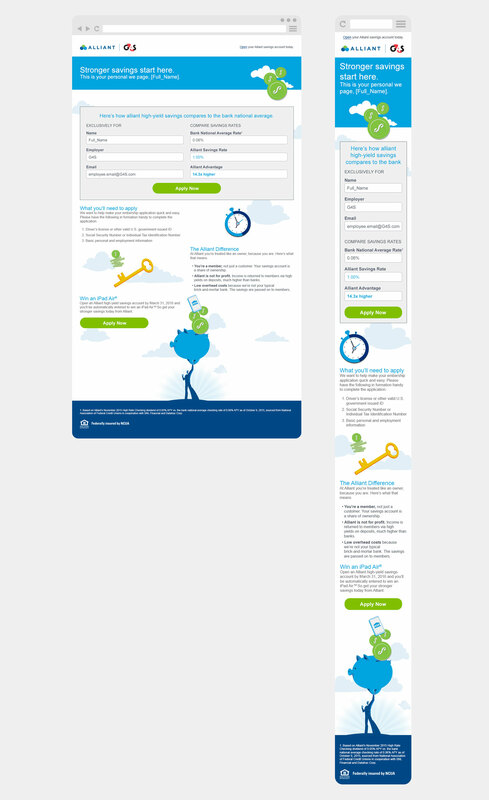 In order to break through that barrier, a multichannel acquisition campaign was developed. 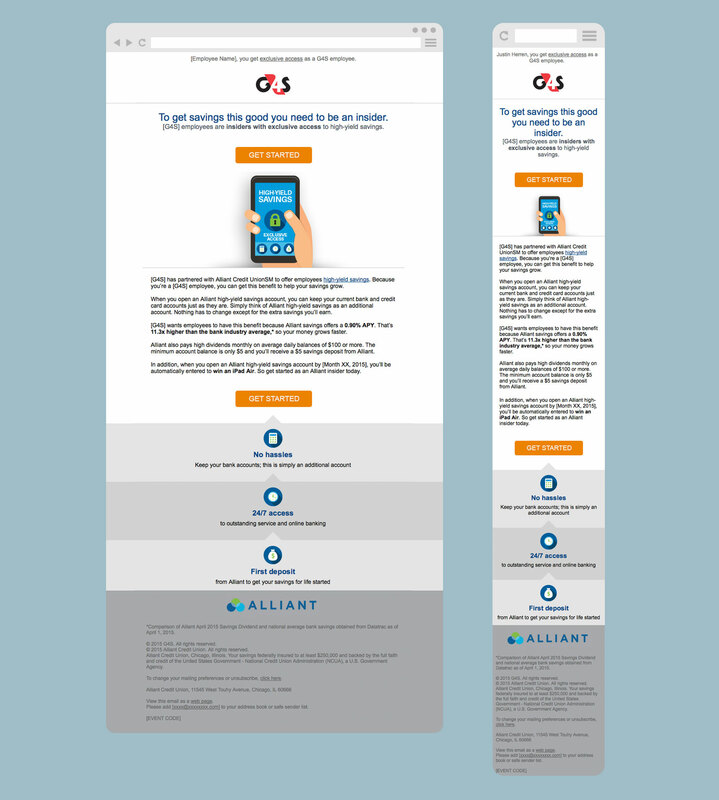 The “Insider Campaign” was developed with the idea that Alliant Credit Union was an exclusive benefit for employees of their partner organizations. The creative utilized a minimalist approach with a more illustrative design to appeal to a broader range of individuals, as well as appear less intimidating. The “Insider Campaign” brought in 6x more new member than previous marketing efforts. The open rate for the emails was 4x greater and the click-through rate was 6x higher than the control campaigns. 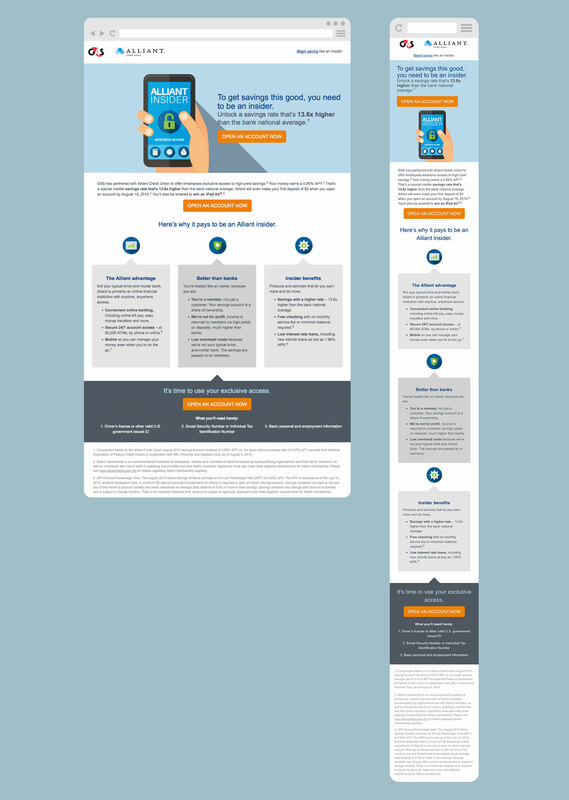 Six months later, Alliant Credit Union asked us to try a new creative/messaging approach to see if we could get the needle to move even further. Specifically they wanted to see if a different visual/message would resonate with segments of the audience that did not sign up during the first wave. 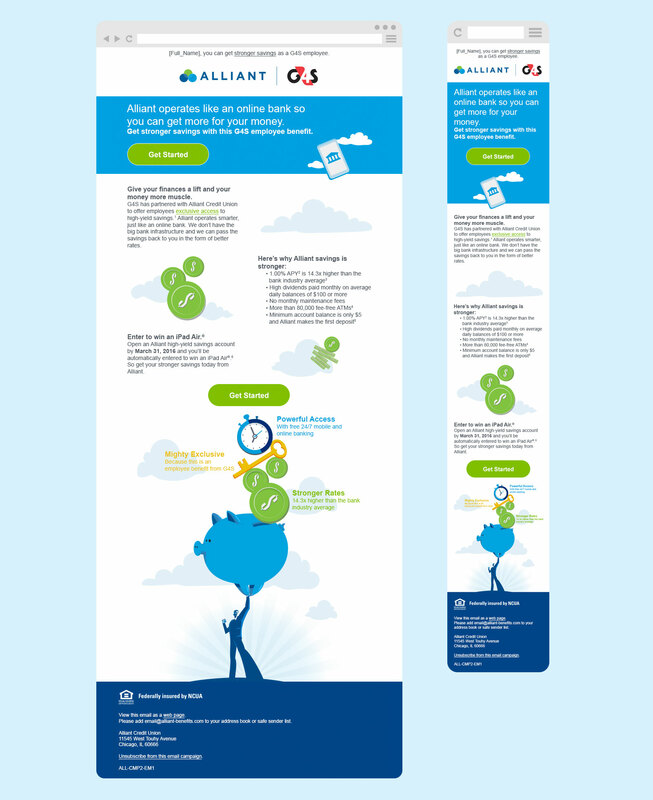 The “Stronger Savings” creative focused, as you may have guessed, on the stronger savings benefits that only Alliant could offer as a credit union. While still performing well, the “Stronger Savings” creative did not have a significantly larger impact than the “Insider” control creative.